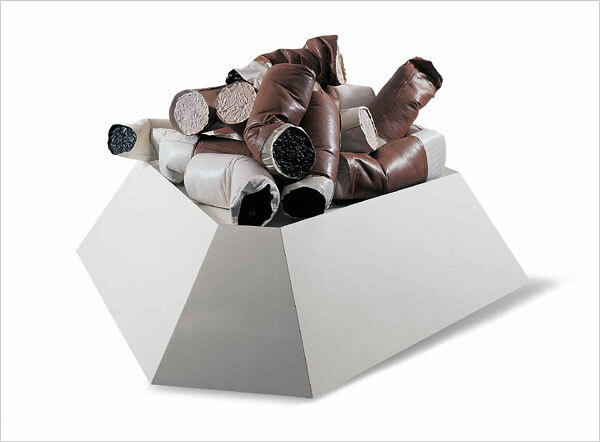 Currently on view at the Whitney Museum of American Art in New York is a retrospective of the work of artist Claes Oldenburg (b. 1929), whose highly productive career spans from the early 1960s to today. The exhibition is organized chronologically and consists of two parts: the first, entitled “Claes Oldenburg: Early Drawings, Sculptures and Happening Films” traces the early developments of Oldenburg’s career in the 1960s and early ’70s, while the second, “Claes Oldenburg and Coosje van Bruggen: The Music Room” focuses on Oldenburg’s thirty-three year collaboration with his wife Coosje van Bruggen, the art-critic and -historian who died of breast cancer in January. 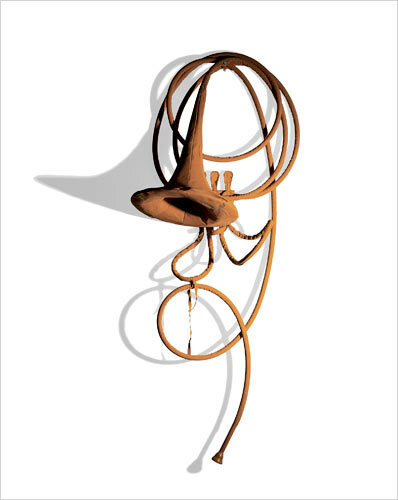 Through drawings, sculptures, film and archival material, the Whitney presents different aspects of Oldenburg’s multi-faceted career, using mostly pieces pulled from its permanent collection and supplementing these with objects on loan from the artist himself. 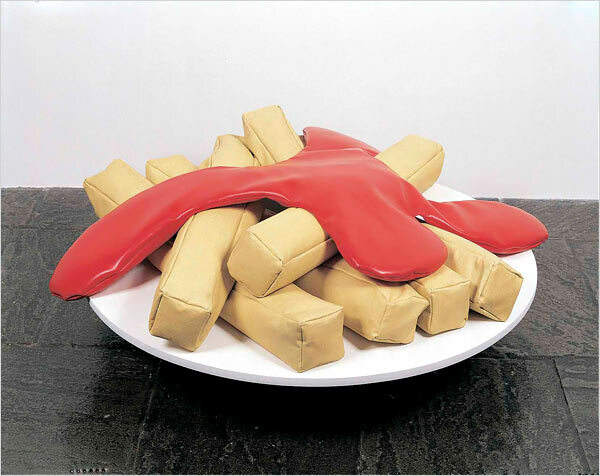 Reacting against Abstract Expressionism, Oldenburg challenged the assumption that art must be expressive: the exhibit features Oldenburg’s iconic Pop sculptures dating from the 1960s, depicting consumer products of American city life. Subject matter and representation clash in Oldenburg’s reproductions of hard objects in soft materials, such as Soft Dornmeyer Mixer (1965) or Soft Toilet (1966), or small objects on an inflated scale, like his Giant Fagends (1967) or Giant BLT (Bacon, Lettuce and Tomato) (1963). Accompanied by Oldenburg’s early drawings, these define Oldenburg’s particular branch of Pop. Much of the radicalism of Oldenburg’s sculptures are due to a play on context and scale. This is particularly true of “Ice Bag – Scale C” of 1971, a floor-to-ceiling ice bag that inflates, deflates and contorts by internal means including fan, and measuring 12 feet in diameter. The rarely-exhibited piece has undergone extensive conservation work in preparation for the exhibition. Oldenburg’s art confounds expectations not only through the transformation of material, but also by animating the inanimate. 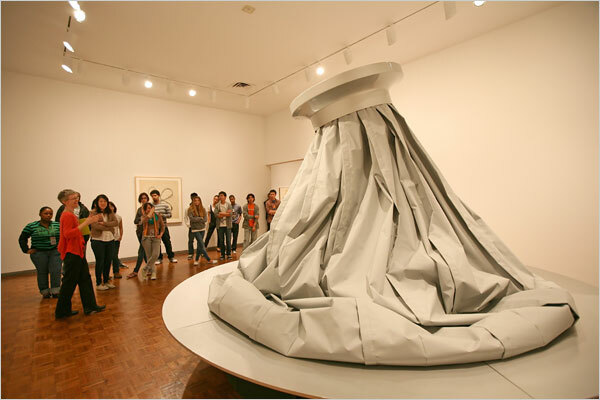 During the 1950s and 1960s, Oldenburg also created ‘Happenings,’ a kind of loosely scripted experimental theater. 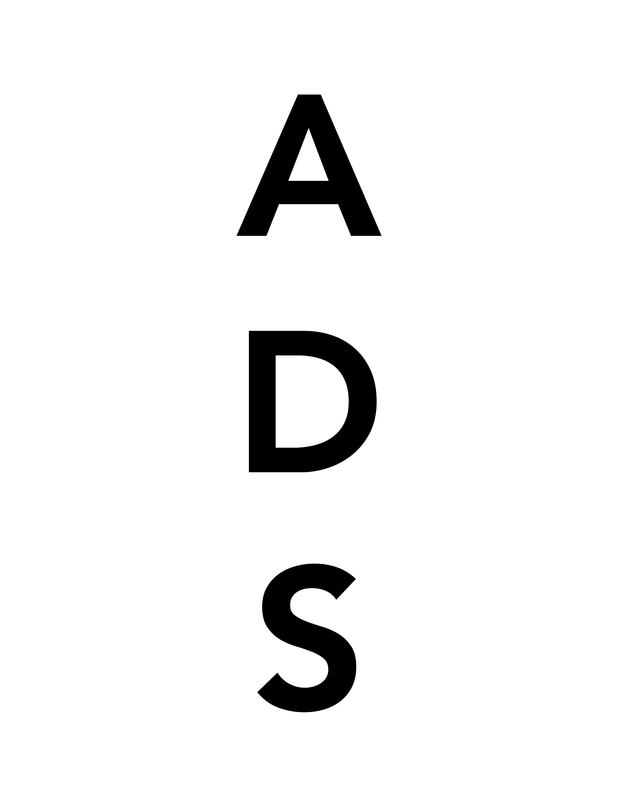 Seven of Oldenburg’s Happenings are presented here; two of the films, “Fotodeath” (1961) and “Autobodys” (1967) have not been seen since they were originally screened, and have been restored especially for this exhibition. 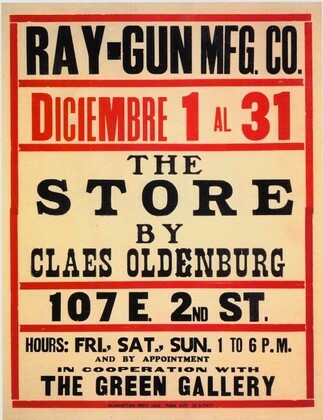 Another type of Happening is represented by the inclusion of ephemera from Oldenburg’s legendary “Store” installation of 1961, a combined studio, market and performance place. The final portion of the exhibit displays Oldenburg’s later work, created in collaboration with his wife Coosje van Bruggen. These include drawings for the large-scale absurdist civic monuments for which Oldenburg is most famous. A full room has been dedicated to a series of sculptures of musical instruments by Oldenburg and van Bruggen in a presentation entitled ‘The Music Room,’ which includes both hard and soft instruments of different scales ranging in date from 1992 to 2006 – variations on a viola, saxophone, clarinet or metronome. These whimsical works show Oldenburg’s continuing commitment to combating the idea that the content of art must be profound, and its maker profoundly honest. 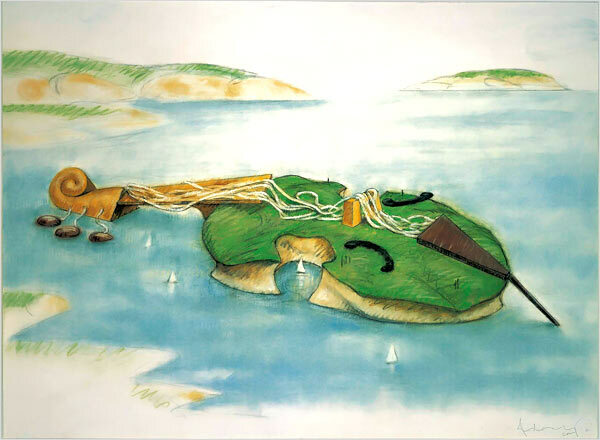 This entry was posted on Tuesday, May 26th, 2009 at 2:43 pm	and is filed under Go See. You can follow any responses to this entry through the RSS 2.0 feed. You can leave a response, or trackback from your own site.